In today’s segment of CNBC ‘Fast Money’, the hosts took a look at the current state of Bitcoin, pointing out signals and what they mean for the market going forward. Bitcoin Sees Interest Decline, Is That A Problem? The cryptocurrency market saw an astonishing 2017, with the industry quickly becoming the talk of the town on Wall Street and Main Street. 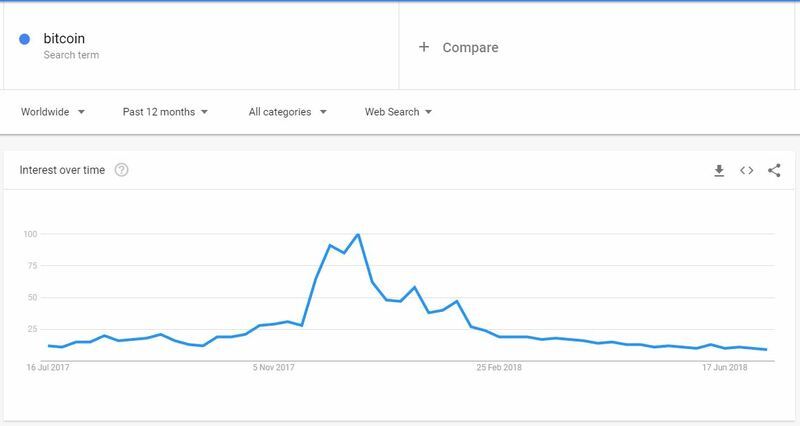 Public awareness of the cryptocurrency market grew, along with exponentially increasing prices, with Bitcoin becoming one of the most searched terms on Google. 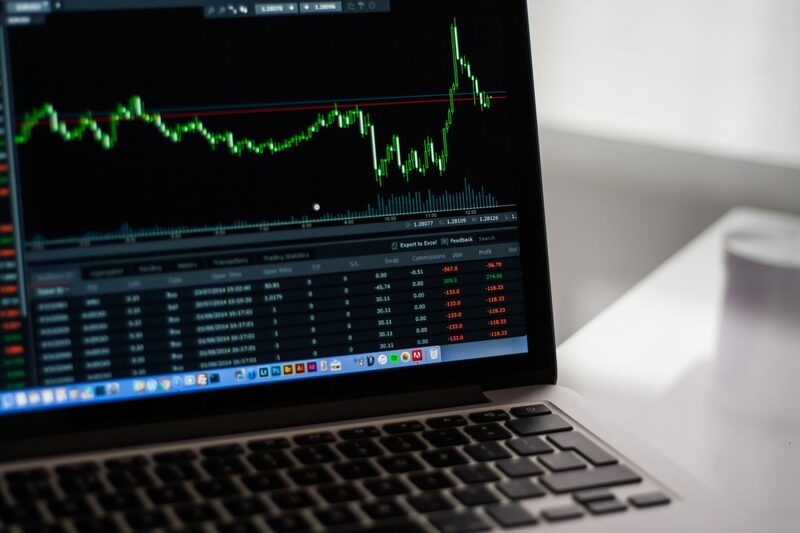 But since the most recent decline, with cryptocurrencies taking a nosedive in value, with some onlookers believing that the cryptocurrency market is losing its hold over the eyes and wallets of retail investors. “This is pretty simple folks. As the price has come down, the volume of trading has declined. Not only that, but the public interest has declined as well,” said Bob Pisani, a CNBC stock analyst, and contributor. 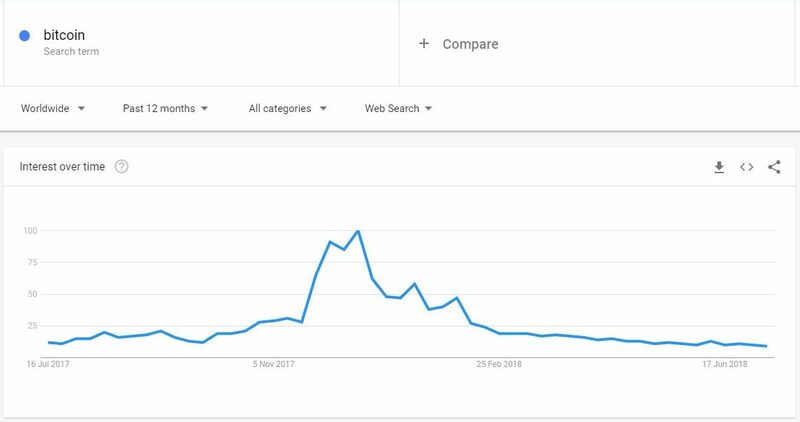 Google searches aren’t the leading indicator for Bitcoin, but instead, acts as a ‘coincident indicator,’ and therefore shouldn’t be looked to as some sort of BTC price predictor. Compared to a year ago, (over) the same time (the first 6 months of 2017), Bitcoin volumes are up nine hundred percent. With this figure bringing credence to the fact that he believes that today’s volume in the trading space is still in a “healthy” state. Craig Johnson, a managing director and senior technical analyst at the Piper Jaffray Investment firm, followed Pisani’s segment with bullish sentiment regarding the state of the market. From my perspective, this quiet period that Bob (Pisani) is mentioning is actually a good thing. You’ve had the parabolic advance, you going through a sort of correction and resetting of expectations and that’s where I think we are at. We saw that with the internet, and I think we are seeing that with the cryptocurrencies. In terms of technical indicators, which the Piper Jaffray employee excels in, he pointed out that there is strong support at the $6,000 range and that the downtrend may be at the beginning of a reversal phase. “Bitcoin is sort of washing itself out at this point in time. So, I definitely like what I am starting to see with this chart, it looks optimistic,” added Johnson. I think these alternatives (Altcoins) are where the money is going to be at. So think of Bitcoin and Litecoin as silver and gold, so they are just a store of value.